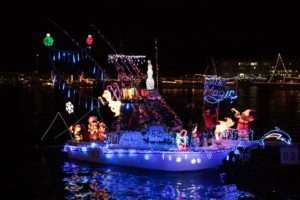 SOUTHERN CALIFORNIA — The calendar tells us we’re in 2018, and while this is a time of year when we generally look forward let’s spend a few moments looking back the many holiday boat parades held in December 2017. It was a challenging time for some, what with the Thomas Fire forcing officials at Santa Barbara Harbor to put their holiday boat parade on hold. Boat parades in Ventura and Oxnard, however, went on despite a record-breaking blaze looming in the nearby hills. 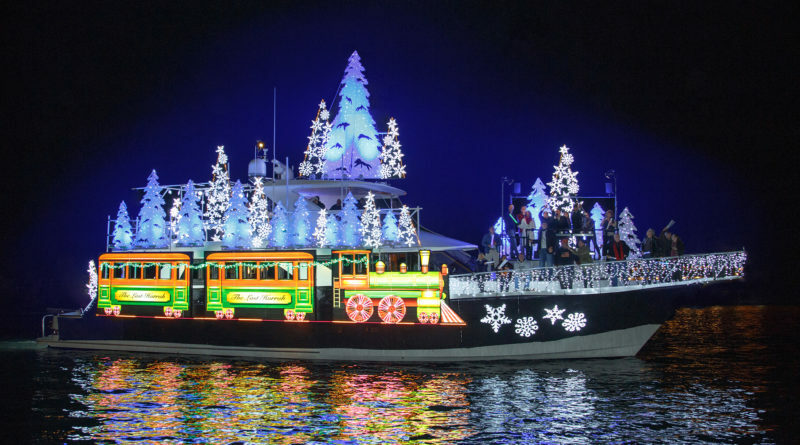 Meanwhile boaters in Marina del Rey, Redondo Beach, Los Angeles, Long Beach, Huntington Beach, Newport Beach, Dana Point, Oceanside and San Diego took to the waterways with the brightest of lights and most festive of decorations to celebrate the holidays. 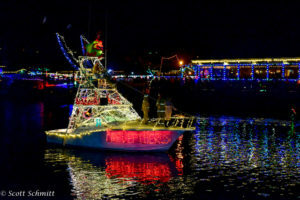 Yacht clubs, port districts, private associations and others welcomed revelers in the days leading up to Christmas, as boat owners cruised local waterfronts aboard festively-decorated boats to commemorate the holiday season. 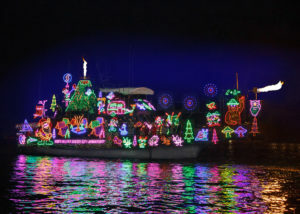 Participating boaters in these floating parades win recognition or even awards for their efforts in creating a winter wonderland on water. 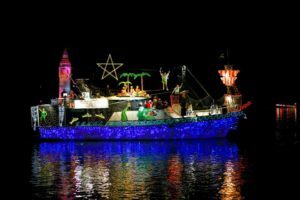 The names released for a handful of the 2017 boat parade champions are listed below. Congratulations to all the winners!